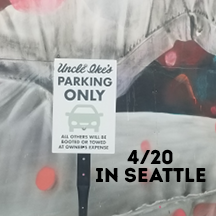 Seattle has always been a fairly marijuana friendly city, but with the unofficial 4/20 holiday approaching you can expect slightly hazier and cloudier weather. If you have partaken of marijuana before, starred in a Cheech and Chong movie, hated the devil’s lettuce, always been curious, or did a Bill Clinton and “didn’t inhale” that one time in college, hopefully you will learn something new or helpful. While marijuana is still illegal federally, the government has allowed states to pass their own laws regarding its use. Keep in mind that National Parks are federal land so marijuana is banned completely in those areas. Different forms of medical marijuana have been legal in Washington state since the 1990s and in 2012 recreational marijuana was legalized. In the summer of 2014 recreational marijuana stores officially opened for business in Washington and have since made over 3 billion dollars in sales and over 1 billion dollars in tax revenue. As with alcohol consumption, there are a few rules and laws to follow when it comes to recreational marijuana usage. You don’t need to be a Washington resident, but you will need a driver license or passport to show that you are at least 21 years old. You are allowed to possess up to 1 ounce of usable marijuana (the plant form people typically call “weed”), smoking paraphernalia, 16 ounces of solid marijuana infused products (cookies, brownies, etc), or 72 ounces of marijuana infused liquids (lotions, etc.). You will receive a receipt when purchasing products and it’s best to keep that with your goods as proof that it was purchased at a licensed retailer. You must be 21 to purchase or possess marijuana, you can not drive and consume marijuana, you can still get a DUI for driving while “stoned”. 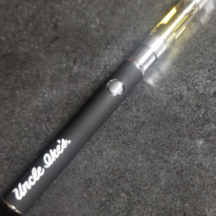 The 3 most common products you will see people using are “flower” which is the term used for plant material, vape cartridges which turn marijuana infused oil into vapor like an electronic cigarette, and edibles which are different types of food infused with marijuana. 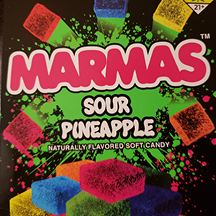 The law states that you may not consume marijuana in public view, and almost all hotels and vacation rentals do not allow smoking in their properties, so your best bet would be to try an edible. If you haven’t tried marijuana before, think of it as drinking for the first time. Drinking an entire bottle of vodka and then hitting the town would be a terrible idea. Similarly, smoking or eating a bunch of marijuana products is a terrible idea. With edibles, 10mg is the most common standard serving size you will see. If you have never had marijuana, or if you have smoked but never tried an edible, playing it safe is the way to go. Eat half of a serving, wait 60-90 minutes, see how you feel, and use that to gauge whether or not you should eat the other half. If all of this sounds extremely overwhelming or intimidating I have some great advice….just ask questions. The list of recreational stores below all employ extremely helpful staff who can answer any questions you may have and guide you in the right direction. Uncle Ike’s in Capitol Hill has a small parking lot and a vending machine with free goodies. 2215 4thAve S Seattle WA 98134 Open Monday to Saturday 9am to 11pm, Sundays 9am to 9pm. Diege Pellicer is a high end recreational store that was also recently featured in Buzzfeed. While offering lots of high end specialty products, they also have plenty of deals as well. Sky’s the limit in Seattle!Whether you’re here for a festival, holiday, or just a few days away with your friends, let the experts at Seattle Oasis Vacation Rentals help you find the perfect vacation home to call your own while you’re here. Our team is happy to help you find a customized property that matches your taste and style while keeping you right in the heart of downtown. Contact us today to start planning!